It seems every few months we keep repeating the same story. Except, it’s not the same story! Just another instance of a business not performing some due diligence when making hiring decision. Once again, ICE has raided a company to check the “Right to Work” status of immigrants as well as their immigration status. Read full story here. Will you have taken the necessary steps to verify that a person is legally authorized to work in the United States if ICE does “raid” your business? Implement a policy of conducting a thorough background check and eVerify your employees when they are hired. eGuarded makes the process easy, simple and reliable. 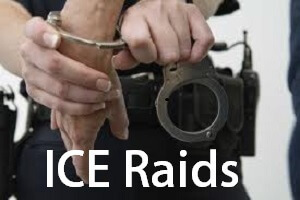 Contact us so you don’t have to worry about your company’s name being next to the word “raided”!